ING Bank Romania plans to have all its physical cash desks closed from 29 October this year, as it plans to turn its local branches into self-service units, according to Romanian news site Profit.ro. 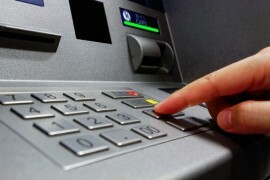 This means that withdrawals, deposits, and other banking transactions will be done through the bank’s ATMs. For other activities, like transfers, the mobile banking app will be the place to go. The bank had announced its plan to move towards a self-service model earlier in February this year. As one of the “top ten banks” in Romania, ING has 1.2 million customers, with a net profit of €74 million in the first half of this year, up 35% compared to the same period of 2017. Looking at ING from a global scale, ING Ventures recently invested €7.5 million in fellow Dutch firm Cobase, a platform that lets customers manage multiple bank accounts. ING also recently invested £5 million in Funding Options, a UK fintech company that offers a marketplace for lending to SMEs.